Sunday Post #16: I’m Getting Old! I’m on a review-writing slump this week 😦 I don’t feel like writing reviews and my reading pace has gone REALLY slow. I’ve been reading the same book for almost two weeks now. I don’t want to take a hiatus again so I’m really trying my best to write the best reviews I can possibly write. I’m trying new techniques in writing, like writing the review in paper first before typing it in the computer. I also write key words/ ideas sometimes and then build a paragraph on it. I really wish this writing slump will go away soon 😦 I’ll still try my best to post reviews as frequently as I can in the following week. This entry was posted in memes and tagged weekly wrap up. Bookmark the permalink. Happy belated birthday. Hope you’ve broken out of your slump by now. I’ve been in a writing slump too! Happy Birthday! Mine is this month too!! 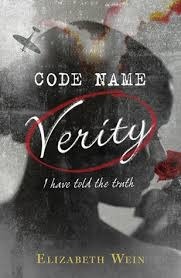 May 17th 🙂 I’ve heard Code Name Verity is a great book! Hopefully it will help with the reading part of the slump. Have a great week! Thanks for stopping by My Sunday Post! You’re not DNF’ing it, just setting it aside for a bit. If you don’t fly thru the other book, then still, don’t sweat it!!!!! This is a hobby, right?!?!?!?!?! We are so hard on ourselves! I usually use novellas and short stories to get me in the mood to read again but I know a lot of people don’t like short stories. HAPPY BIRTHDAY!!!! The BIG 18!!! Soooo exciting! I hope you enjoy it and please eat a piece of cake for me, extra frosting!!! Hope you enjoy your book….that’s the most important thing. And thanks for visiting my blog. Have a happy birthday! You’ll bust out of your reading/writing slump soon I’m sure but slumps are no fun when they’re around! Happy birthday and good luck with the slump. I’ve seen a few bloggers talking about reading or writing slumps, so seems to be going around. I’ve been reading a particular book on and off for a couple weeks too, it’s a popular one but I’m just not super enthused about it. Or maybe it’s the change of seasons interfering with my reading! 🙂 Anyway have a good week. I am glad you will be celebrating your birthday because only readers 18 and over are allowed to visit my blog and when I first saw that you were visiting a BF who had just turned 18 I said, oh well, cute blog but she won’t be old enough to visit!” And now you will be! Happy Birthday!! Everyone should eat what they want on their birthday. Well, unless it will kill them then no, not a good idea. 🙂 Have a wonderful week! Aww thank you 🙂 And I did finish Code Name Verity, it was a really good book. I just had a reviewing slump as well! And the more I postponed writing the reviews, the worse I felt and it just caused me to cringe even more when it came to writing a review. 😀 I would just suggest that take it slow – write a short review and see if it inspires you. The first one is always the most difficult one. 🙂 Happy reading (and reviewing) and have a great Sunday! Happy Birthday for tomorrow. Don’t worry about reading and writing it’ll all come back when you have some space in your life. My pace has gone down too, really shucks, but it’s the quality that counts right 😉 oh and almost Happy Birthday! I agree! I’d rather post a few well-written reviews than post a bunch of badly written ones.